The truth is, most Americans are busy and make dubious dietary choices. Meat-heavy, overly processed, and skimpy on the vegetables is mostly what describes our meals. Some of us try to counterbalance our imperfect eating choices by taking vitamin supplements to help fuel our bodies with the proper nutrients. Roughly half the U.S. population takes some form of vitamin supplements. We understand vitamins and minerals help protect our muscles, bones, and joints keeps our skin and hair healthy and boosts our immune system. Choosing a supplement regimen seems like a healthy trend because the perceptions they give off are that they are good for us. How accurate is that, really? The answer depends on the type of supplements you choose, as they vary widely from one brand to the next, and labels don’t necessarily give insight as to their quality. 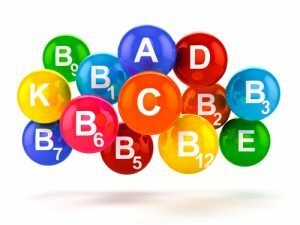 A good standard of practice is to choose whole food vitamins over synthetic whenever possible. Another point for our chiropractic patients is that natural supplements tend to be easier to absorb. Vitamins and minerals are absorbed by the body in complex ways, often taking one type of mineral for the other to be digested. Whole food vitamins are real foods in their entirety, supplying the body’s need for the vitamins we understand as well as the secondary ingredients that make up the food. Conversely, synthetic vitamins isolate each separate vitamin, so the overall result is less effective. When an isolated vitamin or mineral enters the body, it still demands other nutrients to be present in order to be digested and utilized. This requirement can pull those nutrients out of the body’s reserves which, over time, can cause a deficiency of completely different vitamins. Whole food vitamins, on the other hand, don’t cause this, because everything they need to be used by the body is included, since it is a natural food. If you are one of our chiropractic patients that use supplements to ensure you meet your dietary requirements, take a long look at the labels, and do your own research on the type of vitamins in your medicine cabinet. If they are synthetic, think about making a change to whole food vitamins for greater health benefits. If your current diet is lacking in healthy fresh foods, set a goal to add a few to your meals over the next few weeks. Empower yourself to stay strong and healthy longer, by committing to eating healthy and exercising. If you decide to take supplements, choose the whole food options, and keep in mind they are no substitute for nutrient rich eating. Your body is the only one you will ever have, so it’s vital to take care of it. Need help with that? Give us a call: 913-681-7757 and get in touch with one of our chiropractors in Leawood today. Thanks for reading!